Since 1955, the Lautenbachs have been producing quality fruit products in Door County. 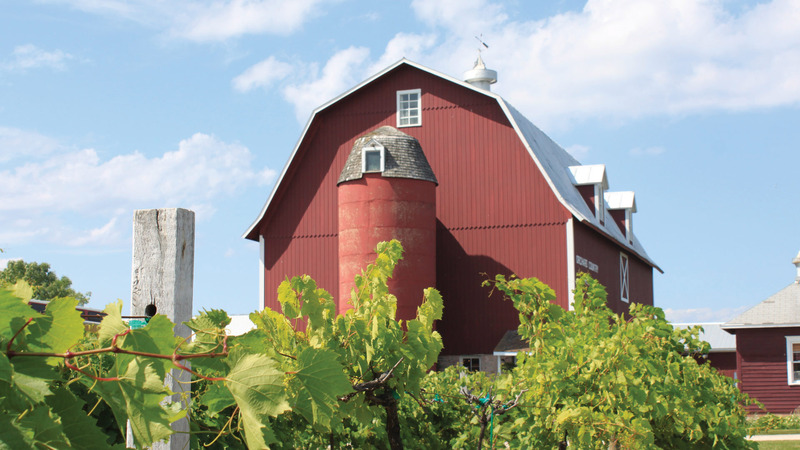 The 100 acre family estate is home to a winery, cider mill and market. The winery resides in a restored dairy barn, producing most of its award-winning wines from fruits grown on the property. Estate-grown fruits include cherries, apples, grapes, raspberries, and pears. Styles of wine offered for tasting and purchase, range from dry to sweet, pure fruit and grape varietals, sparkling and spiced. Th-M 10-4, check website for addl hours. Closed Thanksgiving, Christmas & Easter. Since 1955, the Lautenbach family has been planting, harvesting and producing quality fruit products in Door County, Wisconsin. The spacious farm market offers hundreds of Door County and Wisconsin-made products, featuring the popular tart Montmorency cherry. Also available is fresh bakery, artisan cheese, jam, salsa, pie fill, wine accessories, and more. Starting in spring, take a guided walking tour of our orchards and vineyards or give your best shot at the Cherry Pit Spit. Plus, have your camera ready to snap photos of the beautiful cherry blossoms. Enjoy the warmth of a summer day with a picnic on our patio. During the cherry harvest fill a pail with the bright red superfruit, or make plans to attend our Summer Harvest Cherry Fest in July. Experience the colors, flavors and scents of fall while picking a variety of juicy apples that are perfect for eating or baking. And mark your calendar for our Fall Harvest Fest in September. During winter, gallop through the snow on a horse-drawn sleigh ride. Then, warm up with a glass of hot apple cider or spiced wine. Plus, dont miss our Winter Wine & Cherry Fest in February.